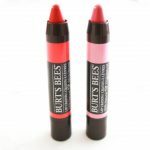 Burts Bees, my favourite lip balm creators, have brought out 6 new shades of lip crayons. Their new release is as always 100% natural and contains Shea Butter, Kendi Oil, Beeswax and Jojoba Oil which are very conditioning and hydrating for the lips as well as containing omega 3. 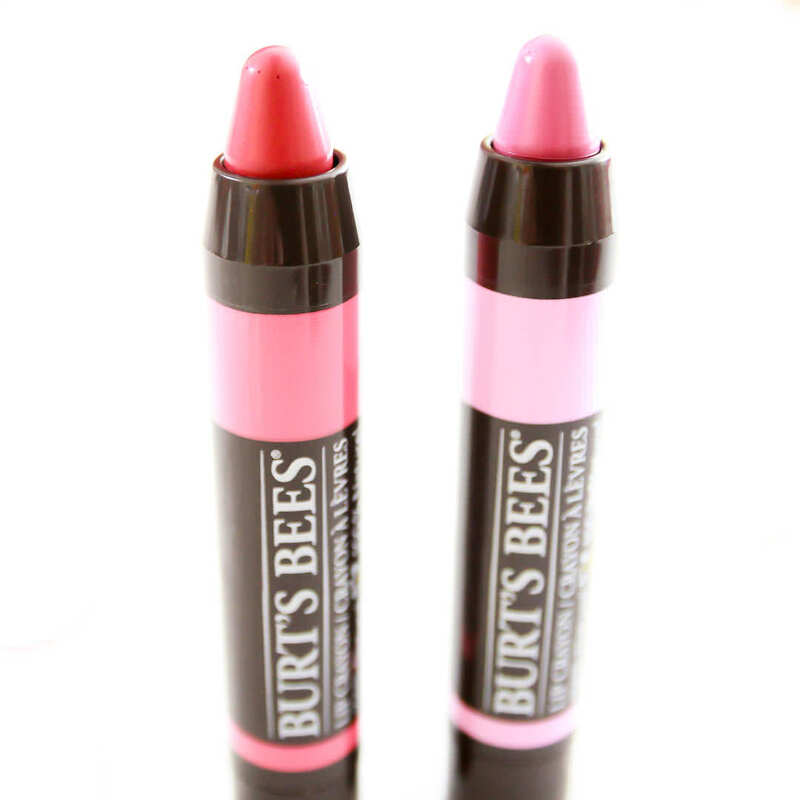 These hydrating lip crayons are creamy but also have a matte finish. They aren’t heavily pigment but add a gentle stain to the lips that is buildable. They are lightweight and great for everyday wear. They packaging is a typical twist crayon so there is no hassle or need to sharpen, an aspect that put me off the recent MeMeMe lip crayon release. The crayons leave your lips feeling very soft, smooth and hydrated and sit naturally on the lips contain no flavour or fragrance. I love the added details, the lid has a cute beehive pattern imprint and the packaging is very strong and good quality. The names of the products I assume are places with lots of Bees, the two I received are Carolina Coast and Niagara Outlook but other shades are named Napa Vineyard, Sedona Sands, Hawaiian Smolder and Redwood Forest. Carolina Coast is a really pretty, vibrant bubblegum pink, a shade that usually clings to the dry partys of my lips looking patchy. Instead this looks like a very natural and neutral shade as it is quite a balm texture. The other shade is Niagara Outlook which is a summer berry red, very close to my lip colour so great for wearing everyday and applying on the go. These leave my lips with a great texture as well as adding some colour. As they are a matte formula I also get quite a few hours wear from them. 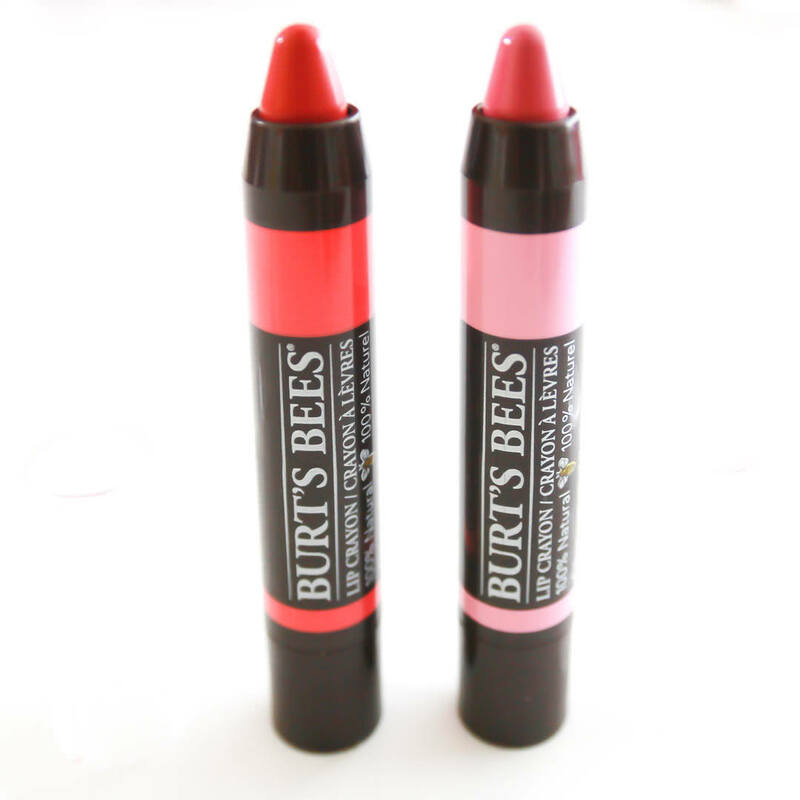 I have really enjoyed the Burts Bees new lip crayons, they are so creamy and hydrating for my lips. They are on the pricey side although as stocked cheaper on eBay. The entire set of lip crayons are also available on eBay. Next Post The Lush Cosmetics Quiz – What Bath Bomb is this?